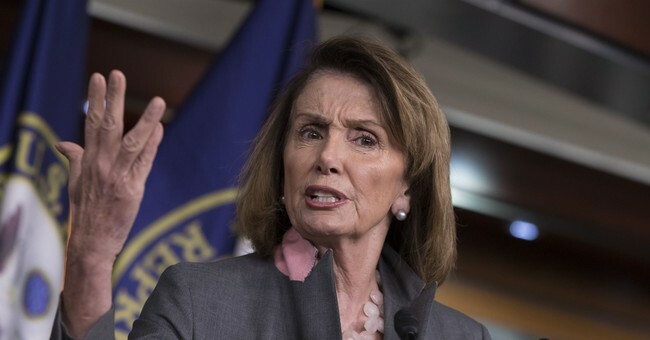 “What the president did is such a sign of disrespect for women, their judgment, their determining the size and timing of their family, if they choose to have a family,” Pelosi said. “I tell my own story because I say to them (her colleagues in Congress) any of you have five children in six years you step up and talk to me,” she emphasized. “With its new rules the White House reached into the lives of hundreds of thousands of women,” she claimed. Health and Human Services officials said earlier this month that the religious exemptions would have no impact on "99.9% of women" in the United States. They calculated that, at most, 120,000 women would be affected, primarily those working at the roughly 200 entities that were involved in 50 or so lawsuits over the contraceptive mandate. The Little Sisters of the Poor, who care for the elderly poor in the U.S., are finally beginning to see some relief with Trump's new rule, along with other nonprofit religious organizations that had been involved in a five-year long lawsuit against the Obama administration over the contraceptive mandate. Paying for or supporting the use of contraception is contrary to fundamental Catholic moral teaching, something both Pope Francis and his predecessor Pope Benedict XVI have emphasized. Pelosi, who identifies as Catholic, is familiar with that teaching. The Protect Access to Birth Control Act was introduced Friday by DeGette. There is similar legislation in the Senate. Both bills are unlikely to be brought to the floor by House and Senate Republicans.